Arrange items quickly to save them from the landfill! 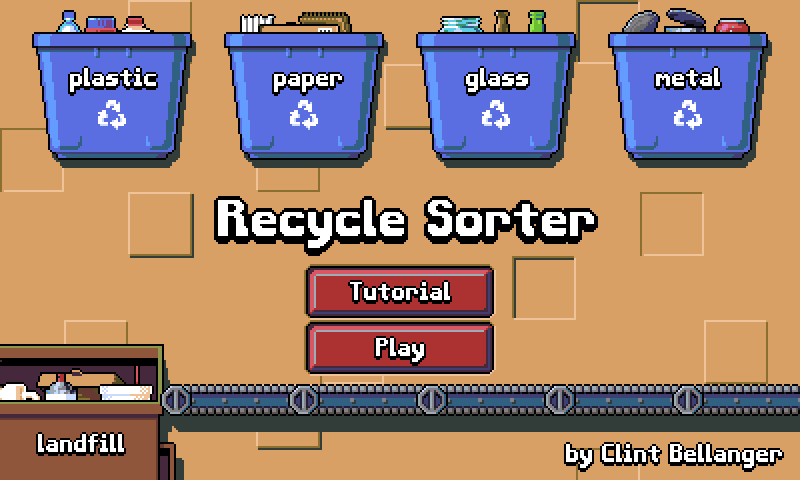 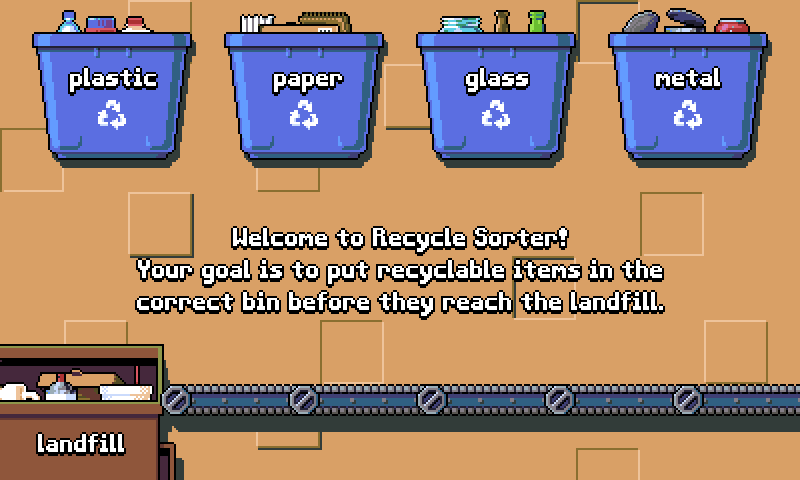 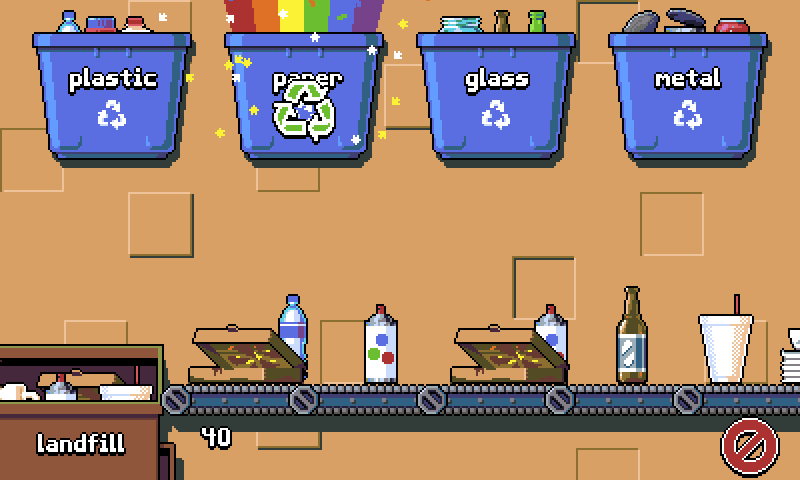 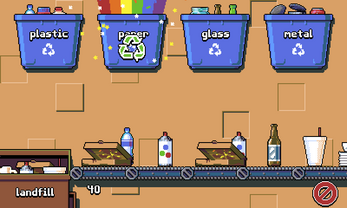 Recycle Sorter is a tiny educational arcade-sim game about Recycling. 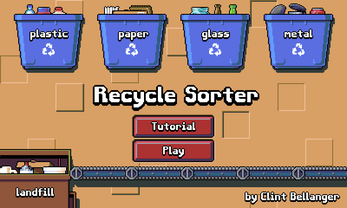 Suitable for players of all ages. 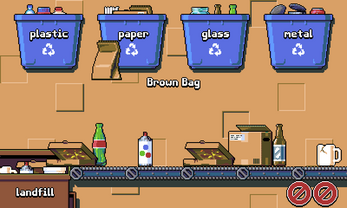 This browser game is currently quiet (no music or sounds).